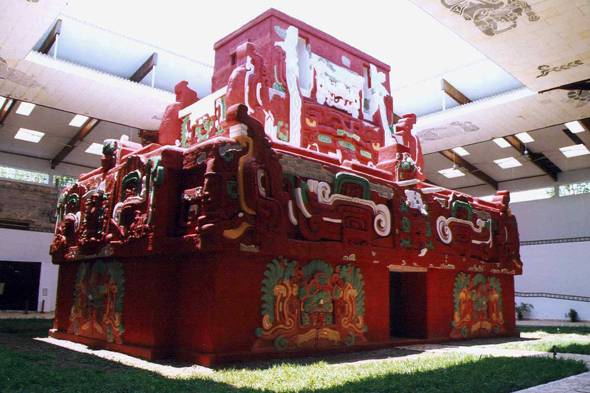 The centrepiece of the museum of Copán is this reproduction of the temple named Rosalita, on which was built the current structure 16. Rosalita, discovered by digging underpasses in 1989, was set up into 571 AD above a preceding temple named Margarita built about 420 AD. There are two more older structures under Margarita, of which one could be the grave of the first Copán's king.